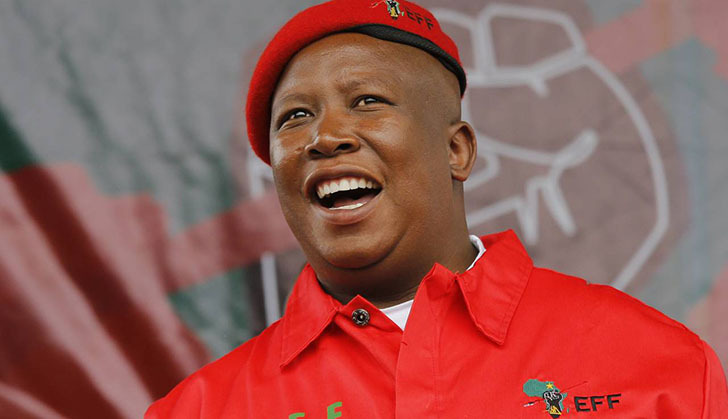 As expected varakashi Completely miss Julius Malema's point regarding the so called compensation of white farmers (what else can you expect from bootlickers). Someone steal your corolla car and decides to replace your engine with a Rolls Royce Engine and Maserati doors (which we know are more expensive than the underling car). Later on you mobilise your relatives and fight back to get back your land (The Liberation struggle). The question is after winning the liberation struggle do you have to compensate the person who stole your corolla car for putting his unwanted expensive and fancy items on your car ? What if in your life the only asset you could buy was a corolla and you can never raise the money to compensate the thief for the unwanted Maserati doors and Rolls Royce Engine, does that mean you will never get back the land that was forcefully taken away from you ? These are very simple questions to answer and instead of insulting Malema, varakashi Mia start engaging in facts. It is a fact that the Rhodesians invested heavily on Zimbabwean farms right from 1922. Some even took loans to build houses , and erect infrastructures on the farms and cattle ranches. To be honest the value of the underlying land itself is far lower than the improvements done on that land. We all know Zimbabwean farms are in villages and rural areas (and not Urban centres). To buy a portion of land in villages is very cheap but to develop it for the purpose of commercial farming is an expensive enterprise! In Estate Duty Taxation we always say the usufruct and bare dominium. The Bare Dominium is the value of the underlying soil. This is far far less than the usufruct ( please read ). Just ask yourself how much do you need to buy five hectares of land in Murombedzi village and how much do you need to make that land usable for commercial farming (eg irrigation schemes , tractors, farm houses, feeding lots etc ). It's clear most of the land value lies in usufruct improvements and that is exactly what whites want us to compensate which is going to be over 80% of the land value and can ran into Billions! If we are to compensate white farmers we should know that we owe them Billions in improvements and this is what sellout Mnangagwa doesn't want the nation and his foolish varakashi to know ! Mnangagwa and his useless gvt argues that what they are doing is what the Constitution says, but we gave him and his Party two third majority so that if there is something that needs to be changed in the constitution they can do it for public good ?? Instead they are using that two third to change the Presidential running mate clause just because all that matters to them is power retention! The second question is; why shld it be a state responsibility to compensate white farmers even if we know who are the beneficiaries of the farm invasions? We know who went into farms A, B, C and started vandalising the infrastructure that white people had taken decades to build and some like the newly admitting Didymus Mutasa even have multiple farms that they grabbed and started leasing them to fellow Blacks. They also sold all the infrastructure on those farms and some was left to rot because we simply did not have the capacity to farm. Today we are being asked, as taxpayers that we need to use your tax money to bail these useless Black farmers who irresponsibly grabbed multiple farms they never used. Had this Black farmers engaged in fruitful farming they would have cleared these debts but alas they took farms just to show off "ndinepurazi ini ". Then lastly on diplomacy level: what do we stand to gain from paying Billions to former white farmers? Will that make America forget the fraudulent August 2018 election and the subsequent military crackdown ? Will America suddenly recognises a violent party that has engaged in violent elections since 2000 ? Because if we don't stand to gain anything and Zimbabwe's Zidera remains in place, so why are we wasting time doing this ? Where do we get the Billions to pay ? If you read the recently amended Zidera act Zimbabwe was given only five conditions to meet for Zidera to be repealed and none of these conditions talks about compensating white people and so we may actually be engaging in a useless exercise and chasing our own shadows ! Five clear conditions and all of them have to do with rule of law, free and fair elections and observing human rights and people's freedoms including media reforms! At last l must say I never believed the rumours that Mnangagwa is receiving bribe money from UK gvt to betray Zimbabweans who have Uk Asylums but decides to secretly visit Zimbabwe. These reports have been confirmed that Zimbabwean gvt pf Mnangagwa has been receiving millions for notifying Uk Home Office of Zimbabweans who go through South Africa to Zimbabwe in violation of their Asylums. But the way this sellout smiled at that Two million I realised this guy is indeed a sellout . And his decision to ignore Zanu pf stance on the land question actually confirms that he trying by all means to even outperform Everybody selling our country to the highest bidder. Will all this benefit Zimbabwe or it will only benefit him? Personally l would have focussed on implementing Zidera reforms rather than these narrow White farmers issues. Trying to please Britain and completely ignore USA is still a suicide mission .